Download Mail PST Merge software to merge multiple PST files into a single PST file with no file size limitation & latest MS Outlook 2016 support. Merge PST files with full mailbox items including contacts, items, calendars etc. PST Merger comes with 3 options: Join PST files, Merge PST & Merge contacts. 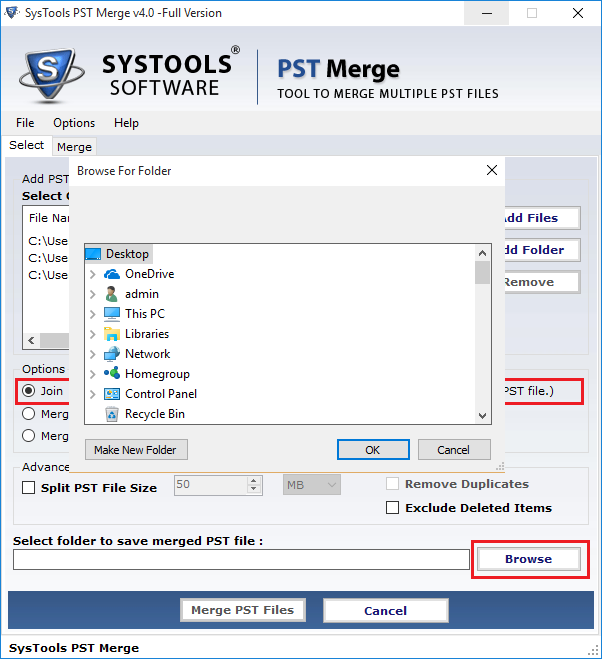 Option to Exclude Deleted Folder items during the merge process of PST files. Join multiple UNICODE & ANSI type PST files with Outlook folders into a single PST. Latest version of MS Outlook 2016 & below versions is supported with 32/64 bit. 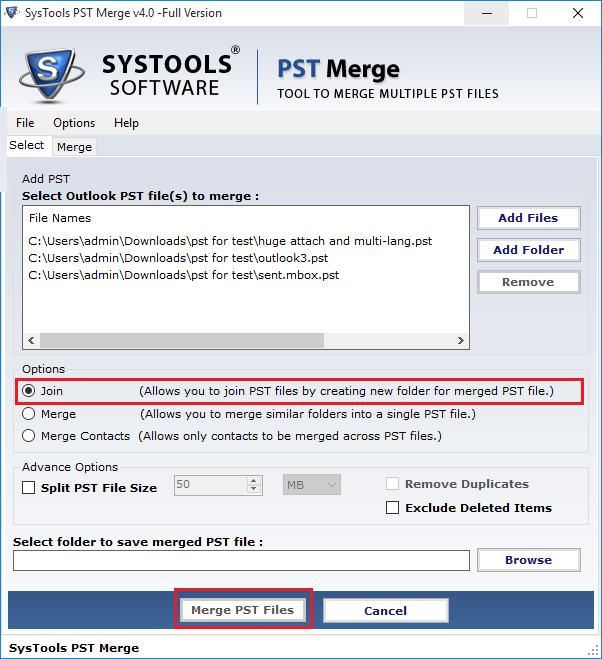 PST Merge Tool allows the users to join two or more PST file of any size to a single PST file by creating a New folder of the file. Choose this option if you want to join multiple PST files to a single one with a new folder. 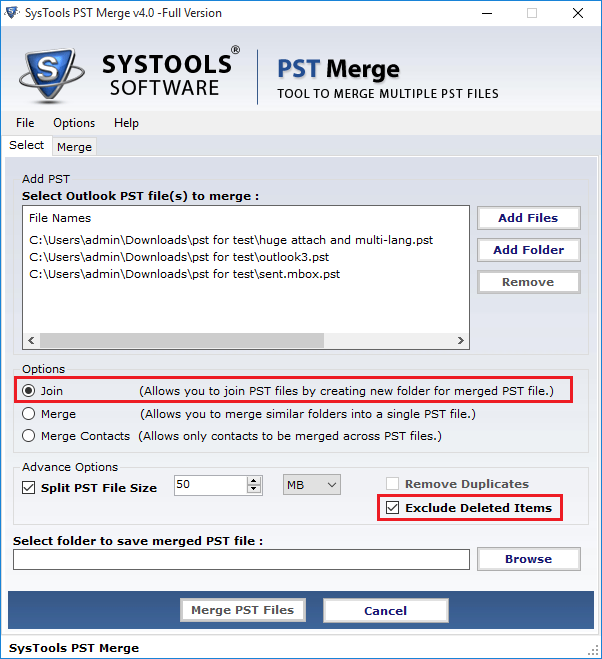 PST Merger software gives the option to merge multiple folders containing two or more PST files to a single PST file thereby reducing steps for merging multiple folders files into single PST files in case of a folder merge situation. PST Merge gives the option to join PST files contacts to a single PST file containing all the data such as contact numbers, name, email addresses, company name, groups, and notes etc. 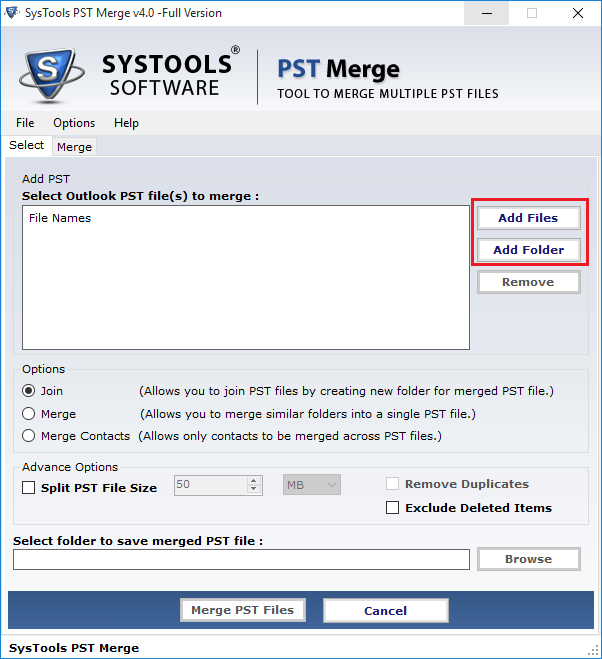 PST Merge Software contains “Add Folder” option by which multiple PST files can be added and merged to a single PST file in Bulk, while “Add Files” option adds PST file one by one in single mode. PST Merge Application is designed in such a way that it gives a check-box option to the user to merge pst files without duplicates. 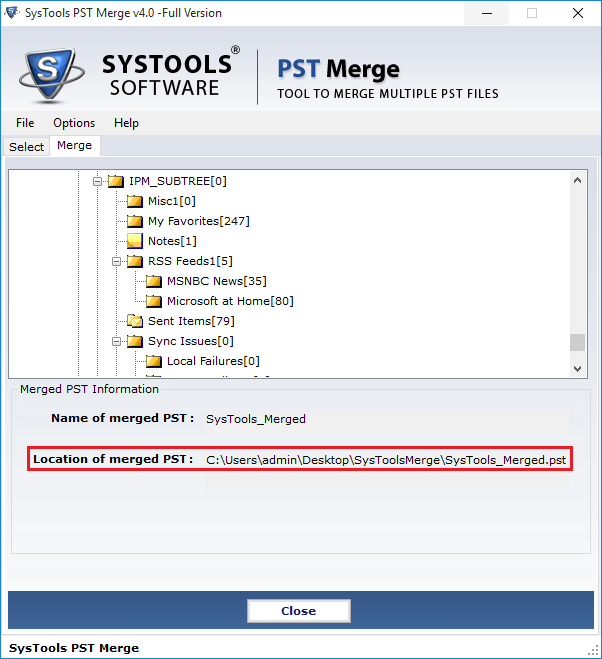 PST Merger software comes with the option to include or exclude the deleted items in the Output merged PST file. Check the “Exclude Deleted items” box for excluding the items. Merge PST Tool gives the user progress status of the merged PST files and generates a report in the CSV format explaining the full detail. If a user working on various different PST File then a user needs to deal with various problems such as accidental file loss or file management issue and common duplicates files issues. Since it is a time-consuming process to fix above issue and all this problem can be fixed if all the data of various PST File save in a Single PST File without any duplicate issues. It becomes also easy to manage data of a single PST file compare to multiples PST Files. Standalone utility tool to Merge & Join Multiple PST File of Outlook application. Use Software to add Emails, Contacts, Notes and Tasks details stored in different PST File into Single File for easy management. A UNICODE Format file resulted as Output file and stored in New folder. Choose the options of “Add Files” to add PST files directly or “Add Folder” to add the PST files from the folders to be merged. Select Different options to Merge File offered by the software. Select the 3 modes Join, Merge, Merge Contacts as per requirement and choose the option of “Exclude deleted items” and “Remove duplicates”. Click on the "Browse" button to fill the destination path where the merged PST file would be stored. View Overall Status of PST Merge Process. Tool displays the Overall Status on the Merge Pane. A Hierarchical view of the PST mail data could be seen along with Current PST processing status. A Dialog box appears after successful merge process. View Merged PST File Information such as Name & Location where the file got stored. Verify the merged items by opening them separately in MS Outlook. Now you can View Merged PST file data in Outlook. PST Merge Tool- Replies All Doubts & Queries! 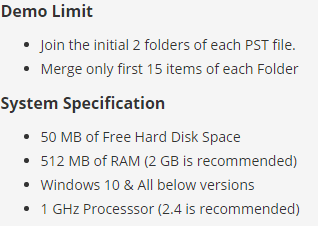 What is the difference between Join PST and Merge PST? In Join PST mode, user can merge multiple PST files of Outlook into a single PST file which contains separate mailbox items like: inbox, calendar, events etc. of the parent input file. While in Merge PST mode, multiple PST files are merged into a single PST file which contains merged mailbox items of all the parent input file into a single mailbox item. Does the PST Merge Tool supports MS Outlook 2013 version? Yes, User can combine multiple PST files of Outlook 2016/2013/2010 & below versions. Does the PST Merge Software ignores duplicate items of the input PST files? Yes, there is a box to select “Remove duplicate items”, through which the user can use this feature accordingly. How can I divide seprate Outlook PST File in to multiples files? Yes, User can try PST Split Software to break Outlook data file. 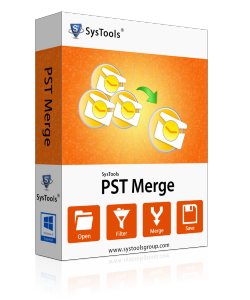 Recommended Tool to easily combine multiple Outlook PST files into single PST File and saves time and duplicate items from repeating in the merge process. I used the full version and it was satisfying. Kudos! To the development team for creating this good utility to merge multiple PST files. I was looking for a software which could merge multiple PST files of Outlook 2016/2013 & join multiples PST File into One file. PST Merge Tools solved my problem within few steps. Thanks to the creative team. Recommend this to tool to all Outlook users, who wants to manage their various PST files by joining them into a single file. With amazing feature and interactive GUI, you can easily merge PST file in a short time period.